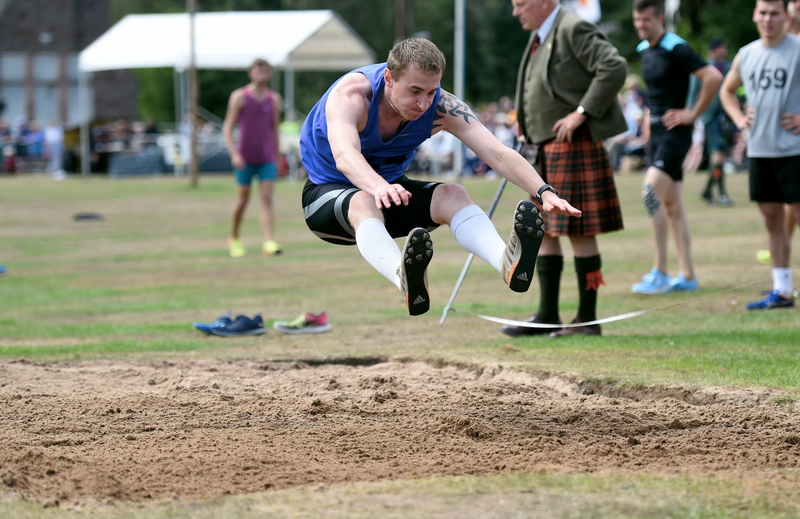 The Highland Games season on Royal Deeside got underway on Saturday when Aboyne Green played host to its 151st annual event. 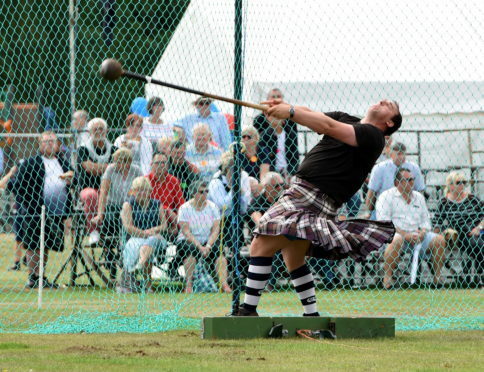 Thousands of visitors flocked to the Deeside village drawing a crowd of just over 9,500 from all corners of the globe to one of the oldest events of its kind. Some had travelled from as far afield as New Zealand, Taiwan, China and Australia – such is its draw – with sunny skies and warm temperatures also helping to attract the crowds. As a means of heralding the start of the proceedings, nine pipe bands marched through the village and onto the green. 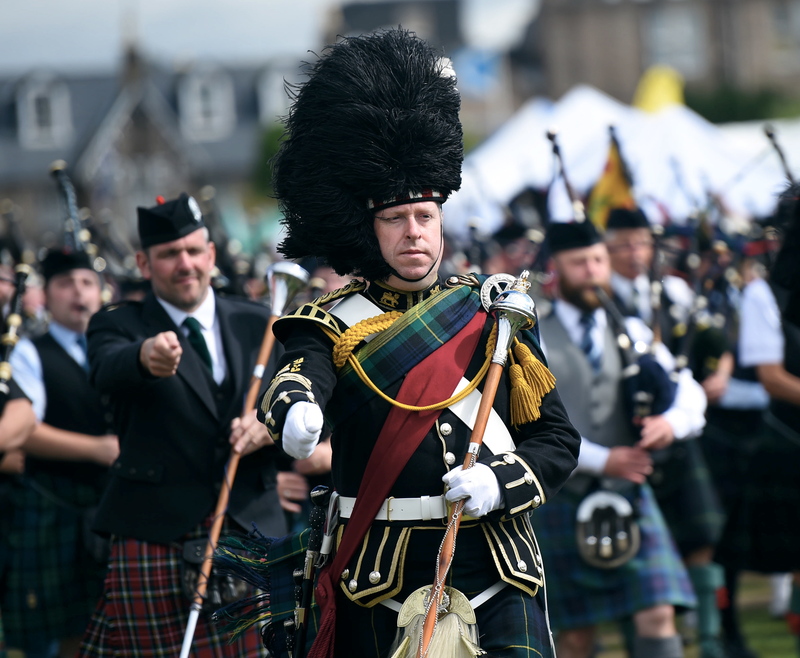 Those performing were Ballater and District, Deeside Caledonia, Ellon Royal British Legion, the Gordon Highlanders Association, Grampian and District, Huntly and District, Lonach, Newtonhill, and Towie and District. 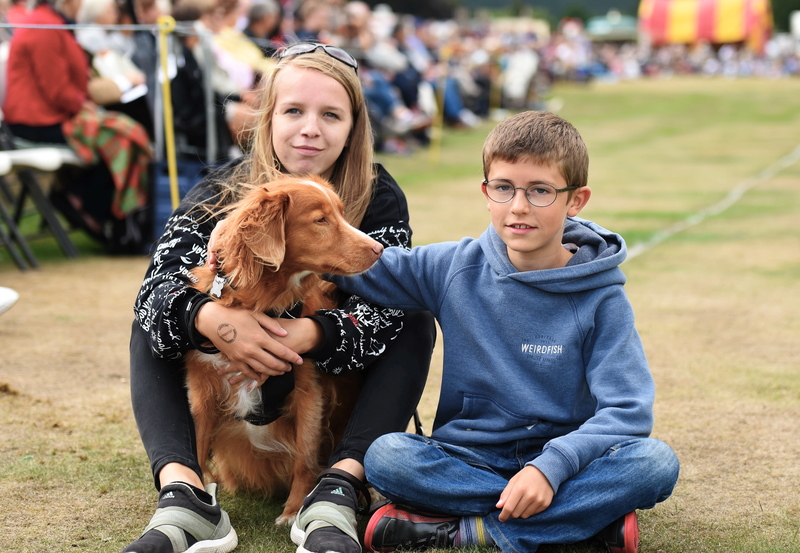 A busy programme of nearly 100 events ensured visitors were entertained until the early evening. Former Strathallan School pupil, George Evans, 20, effortlessly broke the 40lb weight over the bar record with a height of 18 feet and 2 inches. Hailing from Inverness, the chemical engineering student is currently studying at Kansas University under an athletics scholarship and was “delighted” with his new record. For the first time, the Games were officially opened by Alistair, Earl of Aboyne, who was officiating in place of his father, Granville Gordon, the 13th Marquis of Huntly who is chieftain of the event. The Marquis – who became chieftain in 1987 – was absent due to a back injury. It was the first time in 55 years that he had missed the games. A contingent of 30 French visitors from Aboyne’s twin town, Martignas-sur-Jalle, added some Gallic flair to proceedings. The group visited the festivities as part of their four-day visit to celebrate the Franco-Scottish alliance. Manouk Hendriks, dog Tavi and Alan Simpson. Following its reintroduction last year as part of the 150th anniversary celebrations, pole vaulting remained in the programme after a near 40-year absence, with competitors being cheered on by the watching crowd. Having won the open caber event earlier in the afternoon, Lukasz Wenta from East Kilbride was given the honour of attempting to throw the Aboyne Caber, which was created last year and dedicated by Her Majesty the Queen during her visit. With a prize of £600 at stake, Mr Wenta received plenty of encouragement from onlookers, but failed to successfully land the 23ft 6in log in the perfect 12 o’clock position. 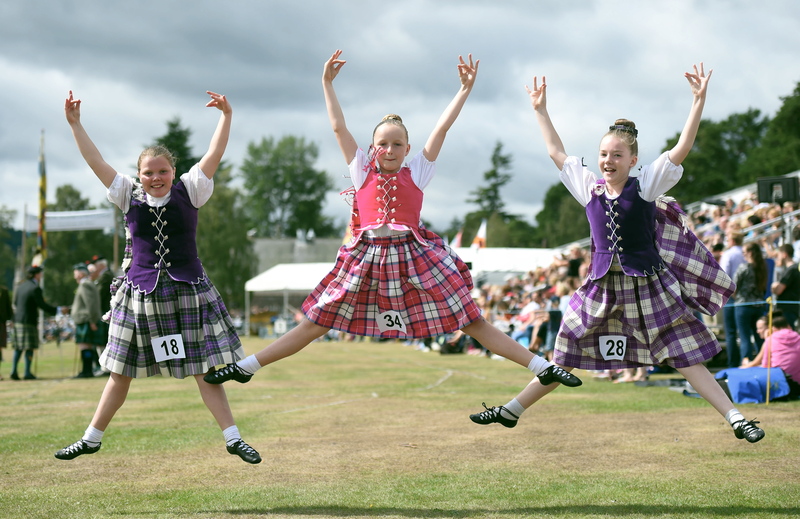 Reflecting on the day, Alistair Grant, chairman of Aboyne Highland Games, said: “It has once again been a very successful day with a great crowd through the gates. “They have been treated to some wonderful performances across all events. Our judges have also commented on the high standard of competition that they have seen.